Posted on 09/19/2016 by snowfox Posted in News, Nezařazené	. 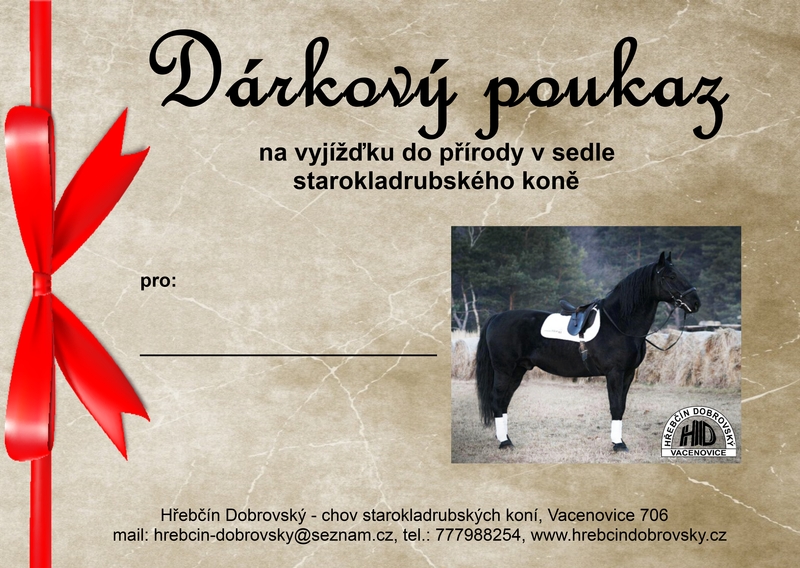 Perfect opportunity to give a special gift – ride in carriage or saddle of oldkladruby horse. Suitable for anybody. We can prepare the voucher directly according to you preferences. Posted on 06/27/2016 by snowfox Posted in News	. 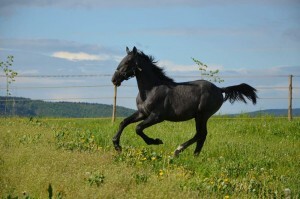 We created new photogallery of our foals at their new homes. 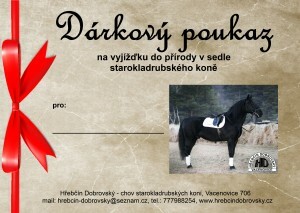 We thank to all the new owners for the pictures and for the perfect care of our horses. Three of our mares started the specialised training for the performance exam, which will take place in September in National Stud. This contains the test under saddle and also the carriage test. We are curious about the process of the next training and looking forward to the exam. This year we did not sent any from our stallions for licence performance examinations. However the breeder Ladislav Dobrovský was member of the judging commission. … of the breeding stallions were licensed. The winner of the performance exam was Sacramoso Caroma II-24, the grandson of the …, who was used as a sire also in our studfarm in the past.